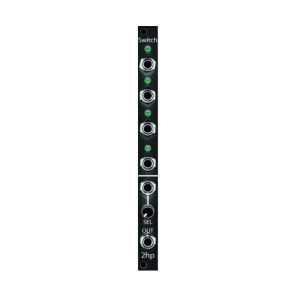 Dual switch module is a very capable 4 hp analog a-b switcher. Uses a gate signal or manual push button. 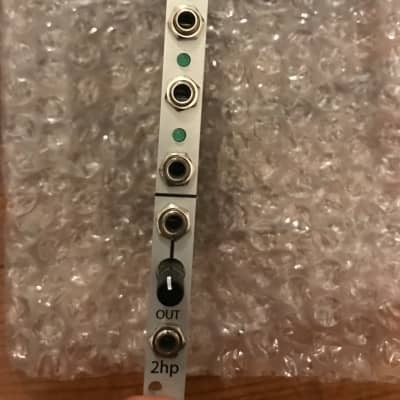 The Malekko Switch is a dual 2>1 momentary switch. 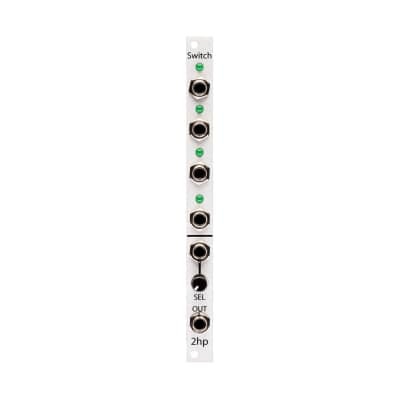 Each half of the Switch has two inputs and one output. There is a common gate input that operates the switch, as well as a manual button. 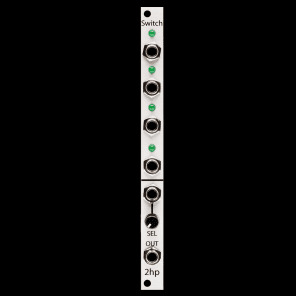 Momentary switches produce different results from, and are great compliments to sequential switches. Great for using as trigger sequencers in combination with clock dividers. 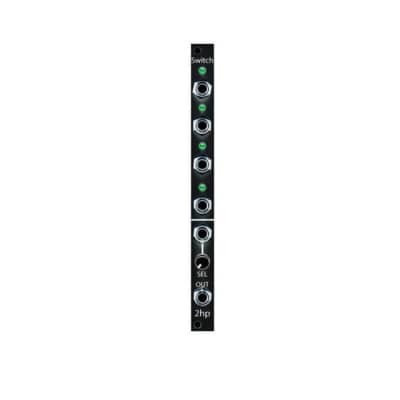 Performance muting or switching of sequences using the manual button. Audio rate switching of waveforms to create new shapes.